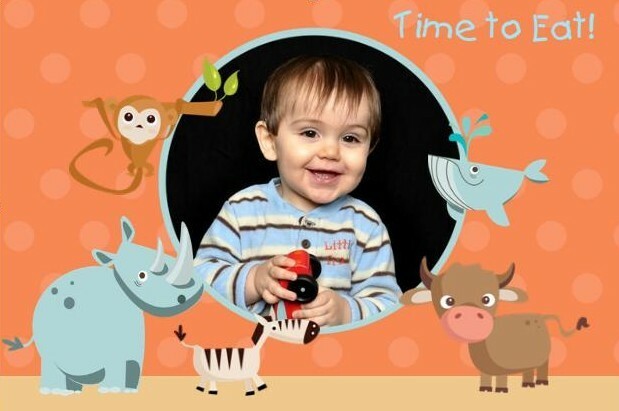 Personalized Photo Placemat only $3.99 Shipped! UPDATE: I received my placemat in the mail yesterday and I love it! It came out exactly as I had made it online (pictured below) and my son got a kick out of it lol. It is laminated and is very easy to clean up any mess. Right now at Ink Garden you can get an adorable personalized photo placemat for free, just pay $3.99 shipping! You can personalize it with any photo, text and clip art. I got one for my son to stick in his diaper bag for when we go out to eat. He's still too little to use a plate, so this is perfect! There are 85 fun designs to choose from, so you're sure to find something great for your little one. To get this price, just enter the code PLACEFREE at checkout to take off $8.99 and just leave the shipping cost of $3.99. NOTE: I had trouble opening the page using Firefox, but it loaded immediately using Chrome.